I am currently a software engineer at Google. I received my Ph.D. in Computer Science from Cornell Univesity in January 2007. My thesis advisor was Professor Andrew Myers. My research interests are in computer security, distributed systems, and programming languages. Proceedings of the 3rd ACM SIGPLAN Workshop on Programming Languages and Security (PLAS'08), June 2008. 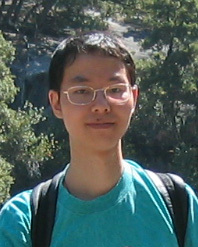 Lantian Zheng, Andrew C. Myers. Proceedings of the 18th IEEE Computer Security Foundation Workshop (CSFW'05), June 2005. Lantian Zheng, Andrew C. Myers. Proceedings of the second Workshop on Formal Aspects in Security and Trust (FAST2004), Auguest 2004. Lantian Zheng, Andrew C. Myers. Proceedings of the 2003 IEEE Symposium on Security and Privacy, Oakland, California, May 2003, pages 236-250. Lantian Zheng, Stephen Chong, Andrew C. Myers, Steve Zdancewic. ACM Transactions on Computer Systems, August 2002. Steve Zdancewic, Lantian Zheng, Nathaniel Nystrom, Andrew C. Myers. Proceedings of the 18th ACM Symposium on Operating Systems Principles (SOSP'01), Banff, Canada, pages 1–14, October 2001. Award paper. Steve Zdancewic, Lantian Zheng, Nathaniel Nystrom, Andrew C. Myers.